The Oxford Mail OX5 Run is sprinting its way back to Blenheim Palace. Athletic. Determined. And in peek physical fitness. At JACK, we’re none of these things. 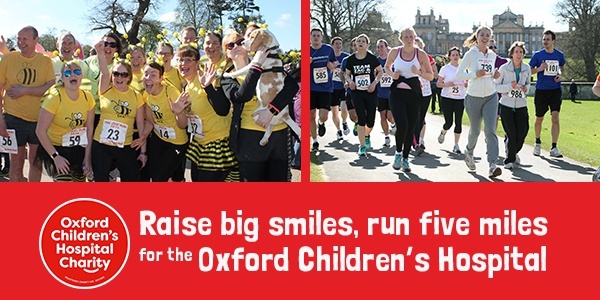 So the Oxford Mail OX5 run is right up our street. Get a team together, we have and if we can, any of you can. Raising money for Oxford Children’s Hospital - helping local families when they need it most. We’ll be there – looking out of breath at the start line. The Oxford Mail OX5 Run. Sponsored by Allen Associates. You can find out how Oxford Hospitals Charity makes a difference across your local hospitals by clicking here! For full info on the event, click here.